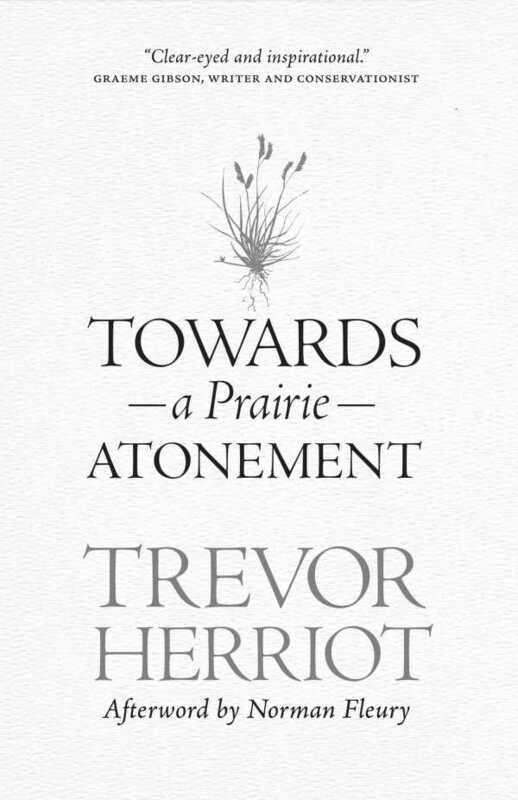 Naturalist Trevor Herriot makes a passionate and beautiful plea for reconciliation in Towards a Prairie Atonement, a short but powerful meditation on the future of Saskatchewan’s native prairie lands. The book alternates between lyrical, almost elegiac first-person accounts of the Canadian plains and incisive social history of colonial white settlement and displacement and oppression of indigenous peoples. Much of the book follows Herriot’s trip to a communal grassland preserve—like an island surrounded by a sea of monoculture cropland—with a Metis elder named Norman Fleury. Their open, honest, and affectionate relationship offers a touching model of how historical injustices can be addressed between white people and members of indigenous communities. Essential to the book’s concept of atonement is personal and societal recognition of wrongdoing, pain, and loss. In the author’s own words, such awareness must also be coupled with gratitude for what’s left to build upon. By book’s end, Towards a Prairie Atonement becomes an important call to action for increased prairie conservation and more communal land use.